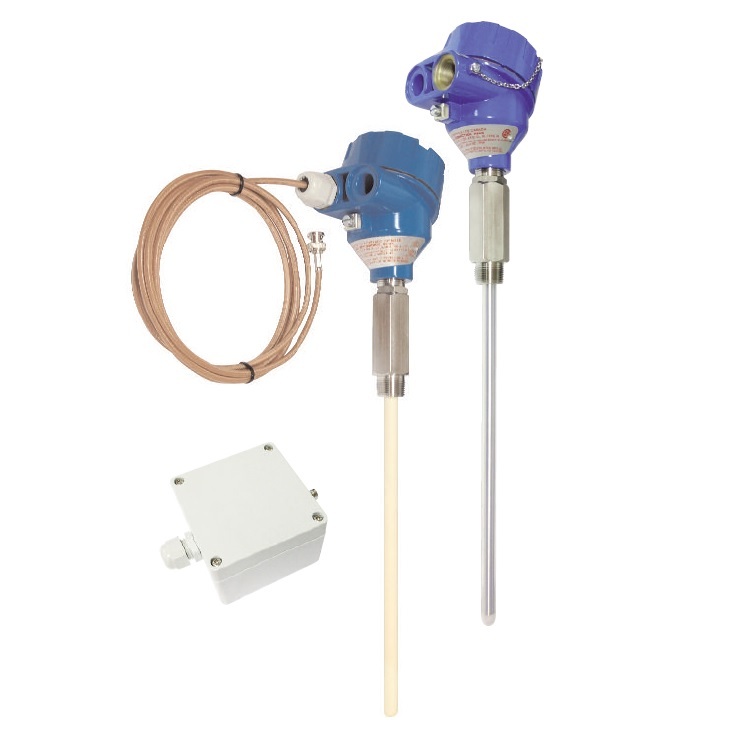 The Intempco LTX22 is a capacitance level sensor designed for modulating level control of liquids in metallic tanks. The probe is normally installed in a steam boiler, or metal tank where it is grounded through the process connection, the boiler tank forming the reference ground. It can be used in a non conductive tank if a grounding rod is provided. The probe measures level by measuring the change in electrical capacitance as level changes in the tank. The micro-processor based electronics convert this capacitance change into a linear, highly accurate output signal. This signal may be used with one or more electronic modules to provide level control, level alarms, and/or outputs to a building management system. The LTX22 is available with an enclosure and installed electronics or an enclosure and remotely installed electronics in a NEMA 4 box. The connection is made via coax cable. Remote electronics are a preferred choice for higher ambient temperature applications.